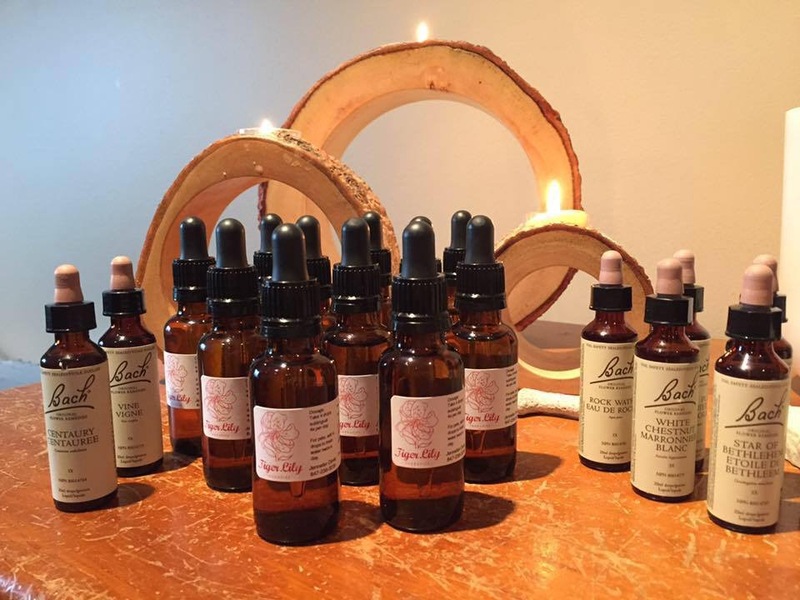 After your Reiki Treatment, if it is called for, a Bach Flower Remedy will be prepared for you. Each Remedy uses traditional Bach Flower Oils, following the work of Dr. Edward Bach. The Bach Flower Remedies work in conjunction with herbs, homeopathy and medications and are safe for everyone, including children, pregnant women, animals, the elderly and even plants. After my four year old dog, Sky, was diagnosed with lymphoma, I was devastated. I started a hunt and never ending research on what we could do to help her. I became obsessed with cancer research. I joined on line groups of pet owners, to see what others had done and what they had achieved for their pets. I was not sleeping, I was on edge and completely frazzled. Sky was becoming more stressed because of me and my behaviour. I could not see the effect I was having on her. Jennefer offered a Bach flower remedy for Sky to help her with the emotional side of her disease. When Jennefer came, she made a tincture for Sky and realized I was in dire need of one too. I started giving Sky hers and taking mine right away. Within 24 hours, I felt better. I was still obsessed with research, but I was calmer. Sky was also calmer. I was amazed at how much better I felt. I was sleeping better and able to focus. Within a week, I stopped the research and accepted our fate. I focused on spending time with her and showering her in love and affection. My beautiful girl lost her battle 3 weeks later. I still take my tincture, as I really love how much it helped me. I cannot thank Jennefer enough for her help and support. in dire need of one too. I started giving Sky hers and taking mine right away. Within 24 hours, I felt better. I was still obsessed with research, but I was calmer. Sky was also calmer. I was amazed at how much better I felt. I was sleeping better and able to focus. Within a week, I stopped the research and accepted our fate. I focused on spending time with her and showering her in love and affection. My beautiful girl lost her battle 3 weeks later. I still take my tincture, as I really love how much it helped me. I cannot thank Jennefer enough for her help and support.